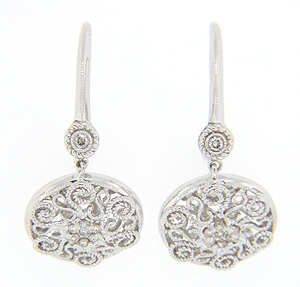 Reverse “S” shapes interspersed with sparkling faceted diamond decorate these antique style 14K white gold earrings. Each earring has a cluster of seven diamonds at its center. 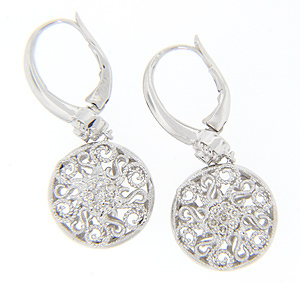 The earrings have lever backs and measure 1 1/4" in length by 9/16” in width.